These are some of the Bargello quilts that I have made for family and friends. The lady Bug quilt is a king Size quilt made with 36 different lady bug fabrics and a wedge ruler. 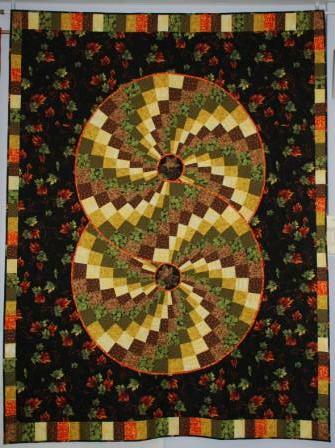 The autumn tone quilt was also made using the wedge ruler but only 6 different fabrics. The other two are more traditional bargello. The purple and orange again has just 6 fabrics. The Blue/green has 22 different fabrics. Oh my goodness girl! You sure have been busy.